How to Rip DVD to Tablet? DVD (Digital Video Disc) is a widely-used disc medium for movies, data storage, software and video games. More often than not, DVD is used to store movies or videos. Watching DVD is a traditional entertainment for people to relax themselves. But as we all know, DVD discs are easy to be scratched thus making data stored within possibly get lost. With the development of modern technology, DVD movies can be transferred to mobile devices for convenient enjoyment. Nowadays, many people prefer watching DVD movies on their mobile devices to sitting face to face with a DVD player. Moreover, have you noticed that more and more people carry a tablet with them no matter where they go? Compared to the past, DVD player now is losing its market to portable media device like tablet. It is common for us to see people watching video on their tablet nowadays, and the number of tablet users is expected to increase continuously. For those who would like to watch DVD on tablet, they shall rip DVD to Android tablet or iPad.The article below will show you how to rip DVD to tablet using DVD to tablet converter. Part 1: What is tablet? Part 2: Why do we need to Rip DVD to tablet? Part 3: What is the best way to Rip DVD to tablet? Part 4: How to rip DVD to Tablet with Leawo DVD Ripper? Tablet, also known as tablet computer, is a mobile computer with a touchscreen display, circuitry, and battery in a single device. Tablets come equipped with sensors, including cameras, a microphone, and an accelerometer, and the touchscreen display uses the recognition of finger or stylus gestures replacing the usage of the mouse and keyboard. They usually feature on-screen, pop-up virtual keyboards for typing. 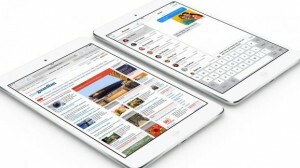 Tablets may have physical buttons for basic features such as speaker volume and power, and ports for network communications and battery charging. Tablets are typically larger than smartphones or personal digital assistants with screens 7 inches (18 cm) or larger, measured diagonally. 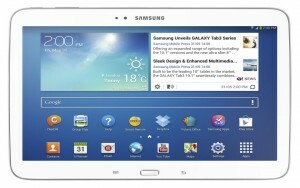 Currently, there are two major types of tablet on the market: iPad and Android tablet. With a market share of 65.66%, iPad leads the tablet market while Android tablet only accounts for 32.08% in market share. Nowadays, Android tablets are gaining their popularity and they can act as iPad alternatives, which, however, doesn’t mean Andriod tablets have the exactly same features as iPad. There are some differences between iPad and Android tablets. Let’s take a deeper look. The biggest and most obvious difference lies in the operating system:iPad runs on iOS while Android tablets are operated on Android OS. Android tablets are a common name for a variety of tablet computers produced by different manufacturers, such as Sony Xperia Tablet Z, Samsung Galaxy Tab S, etc. Unlike Android tablets, iPad is manufactured by Apple Inc.
One of the reasons why Android tablets are selling well is that Android tablets have Flash that is used to show online videos. The Flash feature makes Android tablets stand out against iPad. Other differences lie in multi-tasking and the number of available apps. To make it short, iPad does not have true multi-tasking while Android tablets do, and iPad has more apps than Android tablets. The popularity of tablet makes many people desire to watch DVD on tablet like iPad Air 2, iPad mini 3, iPad Air, iPad mini 2, Samsung Tab, Samsung Note 4, or Blackberry PlayBook. However, tablet either Android tablet or iPad doesn’t have DVD optical drive, which means we cannot directly transfer DVD to Android tablet or iPad or copy DVD to tablet. To watch DVD on tablet requires us to rip DVD to tablet compatible formats beforehand. Although the tablet is more and more powerful, it is at present just a portable media player, which cannot be turned into a tablet DVD player. We cannot transfer DVD to Android tablet or iPad directly as it does not have a DVD-ROM drive. Instead, we have to rip DVD to tablet or convert DVD to Android tablet. Part3: What is the best way to Rip DVD to tablet? Do you know how to rip DVD to tablet? If you do, do you think it is the best way to copy DVD to tablet? Can you rip the copy-protected or encrypted DVD to tablet? It is highly possible that you can rip non-encrypted DVD to tablet while you have no solutions to converting those DVDs under Digital Right Management (DRM). So to help you perfectly copy DVD to Tablet, I would like to give you some suggestions. To rip DVD to tablet, you need to prepare a DVD to tablet converter beforehand. When choosing a DVD to tablet converter, you need to take the following aspects into consideration. An easy-to-use interface: just imagine, are you interested in a program that owns a complicated interface? Decryption: tons of DVD discs are encrypted; if you choose a converter without the ability to decrypt, can you better enjoy the movie on your tablet? Supported output devices: The software should support all popular portable devices. Quality: The software should help you copy DVD to tablet without quality loss. Taking the four aspects above into consideration, are you in trouble finding a suitable DVD to tablet converter? Don’t worry. I am here to recommend a suitable one: Leawo DVD Ripper—the best DVD to tablet converter I have ever known. You can free download the program by clicking the below icon. You can choose windows version or mac version based on your computer’s operating system. 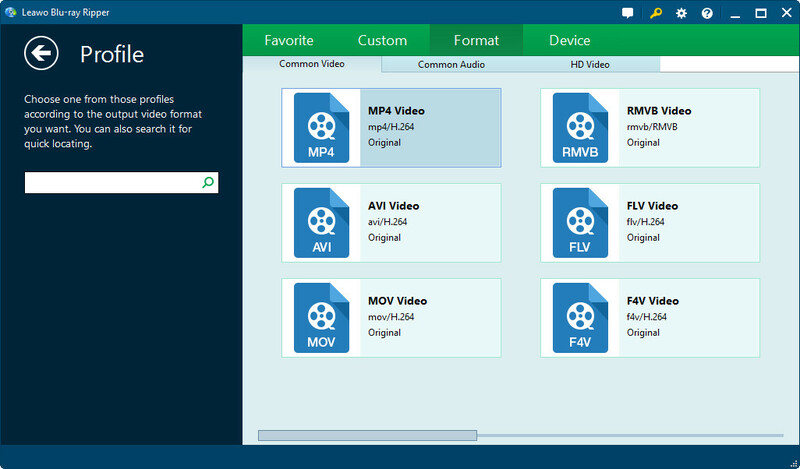 In the following part, I am to share with you how to rip DVD to tablet or convert DVD to tablet with the help of Leawo DVD Ripper—the best DVD to tablet converter. Insert the DVD disc into DVD drive, launch Leawo DVD Ripper, click the “Add Blu-ray/DVD” button to load source DVD file. Click the drop-down list named “MP4 Video” by default on the left side of the green “Convert” button, choose “change” to call out the format choosing panel, and choose your targets device, like iPad mini 2, iPad Air, Android tablets, etc. Click the big green “Convert” button on the top-right of the interface to start to convert DVD to Android tablet or iPad.